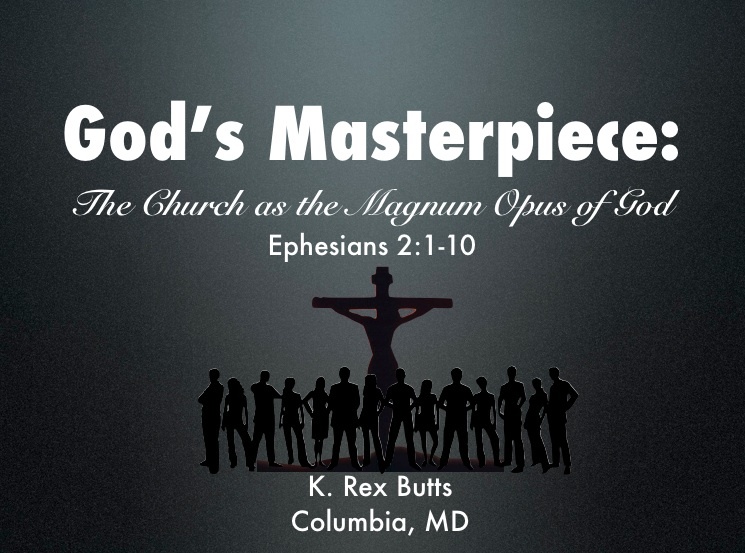 For those who are interested, I have uploaded the slide show as a pdf.doc for the class I taught for the 2013 Pepperdine Bible Lectures titled God’s Masterpiece: The Church as the Magnum Opus of God. I recorded the class but for some reason the recording is barely audible so it is not available. Any ways, In the class I work from the narrative of scripture, locating our place as the church within the five act story of scripture. I suggest that our participation in this story as followers of Jesus who preached the good news of the Kingdom of God (cf. Mk 1:114-15, 17) calls us to a life that is Christ centered and kingdom oriented—the life which God has created and redeemed us for, making us his “work of art” (cf. Eph 2:10, NJB). Thus, as God’s work of art or masterpiece, God is placing us on display before the world so that the world will see how great God truly is that the life that will be restored in fullness when Jesus Christ comes again. This was my first time teaching at the Pepperdine Bible Lectures and it was a great experience as much as it was a learning experience. The feedback I heard from some who attended the class was positive, that they understood what the aim of the message I was teaching. So that is good. As for me, I am my own worst critic. One thing I realized was that I had way too much information for the 45 minute slot I was allotted. The material I had would have been better broken up into two or three slots but if or when I am asked to teach again, I will know better how to prepare for whatever time I am limited too. If you think this might be beneficial to your church or a group in your church and would like to plan it around a retreat, then please contact me. As most of you know, I serve full-time with the Columbia Church of Christ and am committed to my ministry here so my availability would be limited but I am sure something can be worked out. As this material has to do with missional living, it is a something I am passionate about. This entry was posted in Churches of Christ, Columbia Church of Christ, Missions and Ministry, Scripture, Theology. Bookmark the permalink. I’m glad you posted this! For some reason none of my notes from Thursday saved and I was just about you message you to ask for those book references again. As for being your own worst critic, I think you’re right about amount of content in the time given, but I thought you did a great job having not done it before.